BID? What is a BID? B.I.D. stands for Business Improvement District A Business Improvement District is a defined area in which a levy is charged on all business rate payers in addition to the business rates bill. This levy is used to develop projects which will benefit businesses in the local area. There is no limit on what projects or services can be provided through a Business Improvement District. The only requirement is that it should be something that is in addition to services provided by local authorities. Improvements may include, but are not limited to, extra safety/security, cleansing and environmental measures. Projects can include organising ecents and attractions to increase ‘foot-fall’ in the district to directly improve business environments. Until the North Notts B.I.D. was voted into existence by local businesses, all B.I.D.s had been based on single towns, so the North Notts example is a radical departure and subject to national interest. Award winning entrepreneurs join forces with North Notts BID to boost the area's digital footprint (Feb 2019). July 2018 Press Release - Free Town Wi-fi ready to go live! 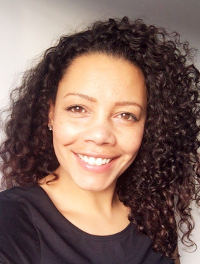 North Notts BID has welcomed a new member to its team with the appointment of its first Ambassador (February 2018). Sarah Hennessy, who is well known through her work in the local business community, joins the team to engage and work with companies as their main point of contact with the BID. To read the press release, click on Sarah’s photo. ◄Click on BID News (July 2017). 31st July, 2017 press release regarding North Notts Business Improvement District initiative - new Board members. 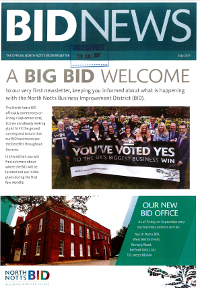 24th July, 2017 press release regarding North Notts Business Improvement District initiative moving to West Retford Hall. 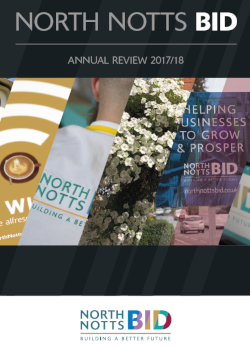 March, 2017 press release regarding North Notts Business Improvement District initiative. Voting closed on 16th May, 2017.